On the 10th of April 2014 St.Clare Primary School had their annual Easter Bonnet Parade. Their were lots of creative and imaginative bonnets of all shapes and sizes. They were very colorful bonnets. Some of my favourites was one that was shaped like a playground and one that was shaped like an Easter Island head. The parade lasted 1 hour and 45 minutes. Classes from Junior Infants to Sixth Class gathered in the hall to present their Easter Bonnets. The parade was presented by Ms. Moran stated that she had never seen such beautiful bonnets in all the years we have held it. 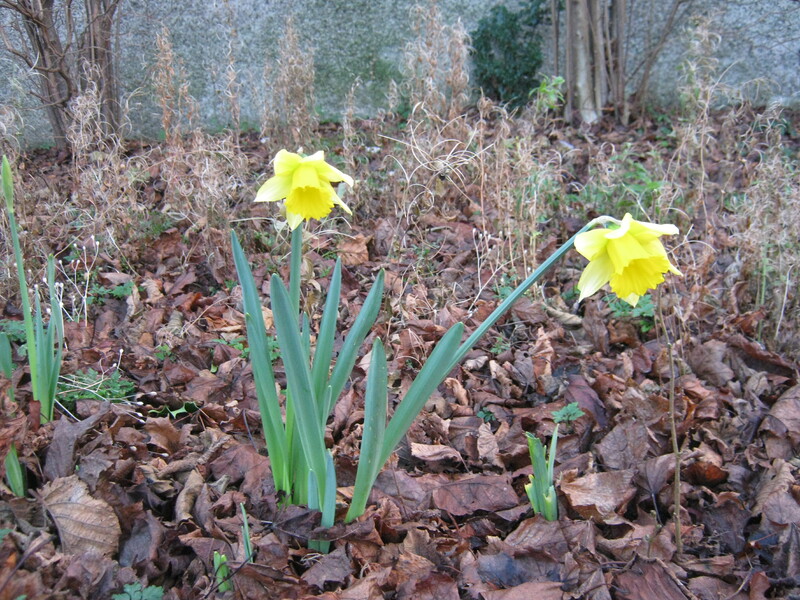 We were amazed to see a couple of daffodils already out on our school grounds when we came back to school after the Christmas break! 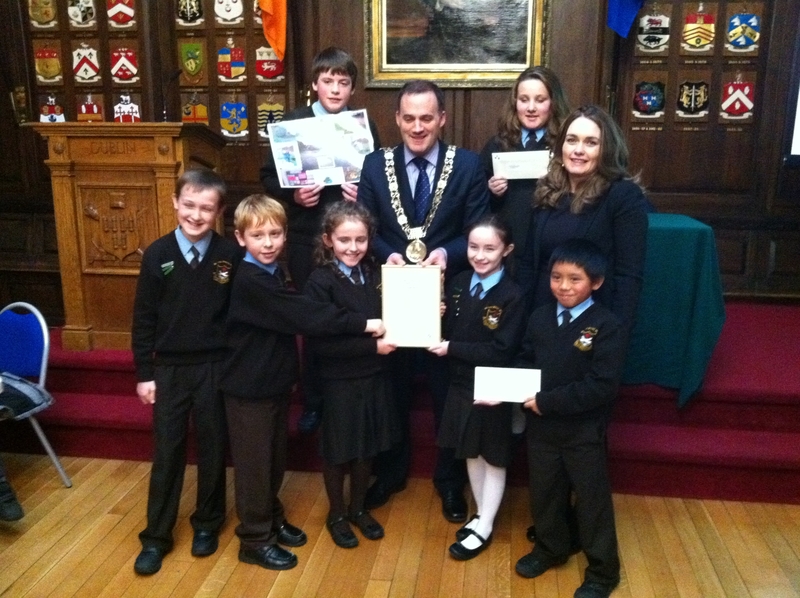 St. Clare’s Wins Dublin City Neighbourhood Award. 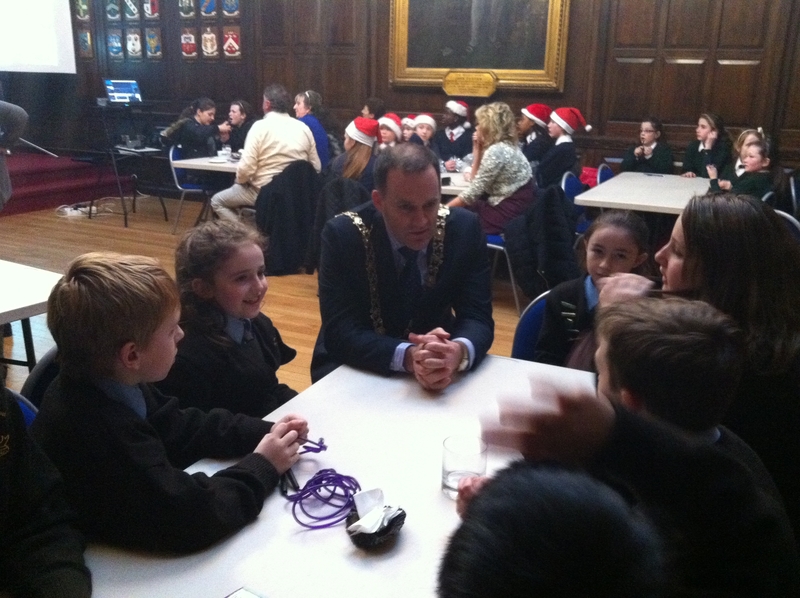 We are delighted to announce that we are the overall winners of the Dublin City Neighbourhood Award for 2012. 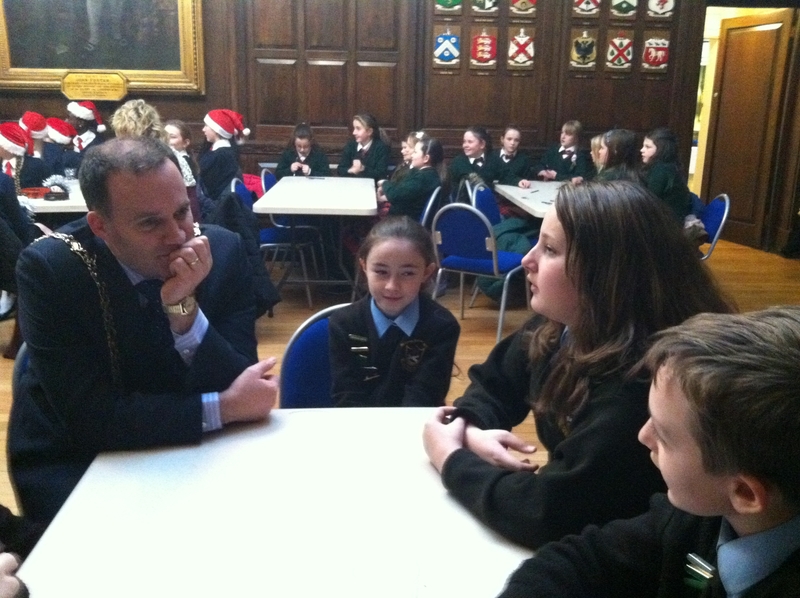 The Green School Committee received the award on Friday at a ceremony hosted by the Lord Mayor in the Mansion House. We had been successful in winning the South East Region Award and were thrilled to be awarded Overall Winner for Dublin City. We have worked very hard to reduce our energy and waste in the school and also maintain and improve our school environment by planting vegetables, growing wild flowers and creating a butterfly garden. All this hard work helped us to win the award. Well done to everybody! One day in May, Mr. Harte ordered some caterpillars for our Butterfly Garden. It took one week to get the caterpillars to St.Clare’s PS. We transferred our caterpillars into little vial. We put a piece of blue tissue on top of the vial and then put the lid on. After a few days the caterpillars went to the top of the veils and began to swing them selves into their pupa, during this process the caterpillars lost their heads. When the caterpillars were in their pupas we put them on a ridged piece of paper and placed them carefully on to the ridged piece of paper and put it into their habitat cage . It took the caterpillars eight to thirteen days to transform into Butterflies. The first day one butterfly hatched from its pupa .The following day six other Butterflies hatched. Fourth class created a powerpoint about German Footballers. 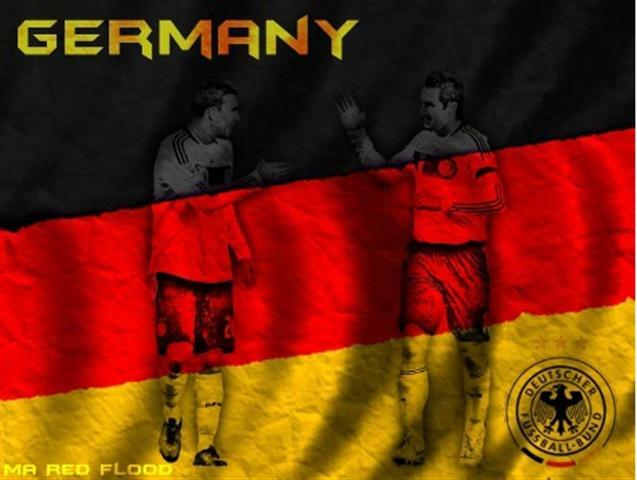 We took two very good German footballers and made a powerpoint about them. There names are Bastian Schweinsteiger and Mesut Ozil. Schweinsteiger plays for Bayern Munchen. Mesut Ozil plays for Real Madrid. They both play around the middle of the pitch. They are both very good at passing the ball. Every year in our school we put up an Easter Table in the school hall. Our German teacher Frau Redmond brings in all of the beautiful decorations for us and sets up the table with some help from the pupils. Each class gets an Easter tree for their class which they decorate with lovely handmade decorations made by the class themselves. Easter is great fun in our school because we do a lot of arts and crafts about the joyous holiday. In the older classes the pupils blow eggs, paint each egg in whatever design they like and hang the eggs on the Easter tree. We love Easter in our school and this year we are having a raffle to celebrate the special time of year. We are also having an Easter egg hunt for the pupils of the class that bring in the most copper for the copper hunt. Here are some pictures of the Easter table.